The classic hoodie is something no guy wants to give up but how can you keep styling your favorite sweater in new ways? Whether you pop it under a jacket or wear it day in day out to keep warm on milder days, your humble hoodie can remain a key wardrobe piece. 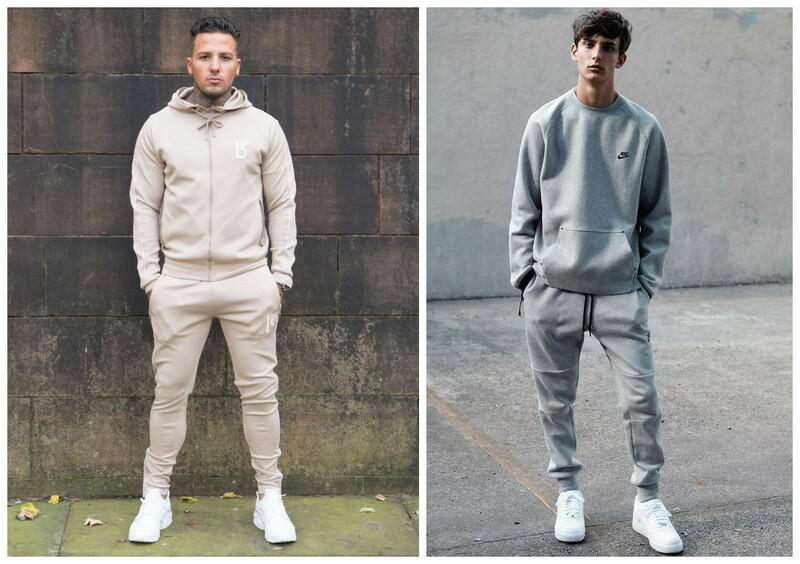 Fall 2018 brings us many smart, casual and everything in between trends but you can be sure that there’s space for your hoodie in almost every look. When the colder months arrive outcome the Chelsea boots. The average man swaps trainers for hardier footwear and will opt for wholesale men shoes designed to keep out the cold and the rain, but what about the rest of your clothes? It’s not quite warm enough for trench coats and bobble hats, which is why hoodies are the perfect transitional choice for the modern man. Hoodies aren’t always a statement piece. Often, they look best as part of a cleverly crafted layered look. A cozy woolen hoodie looked classic over a simple crew-neck t-shirt and you can then opt for your favorite light jacket or overcoat dependent on the weather. Slim leg jeans and white trainers finish the look in style. 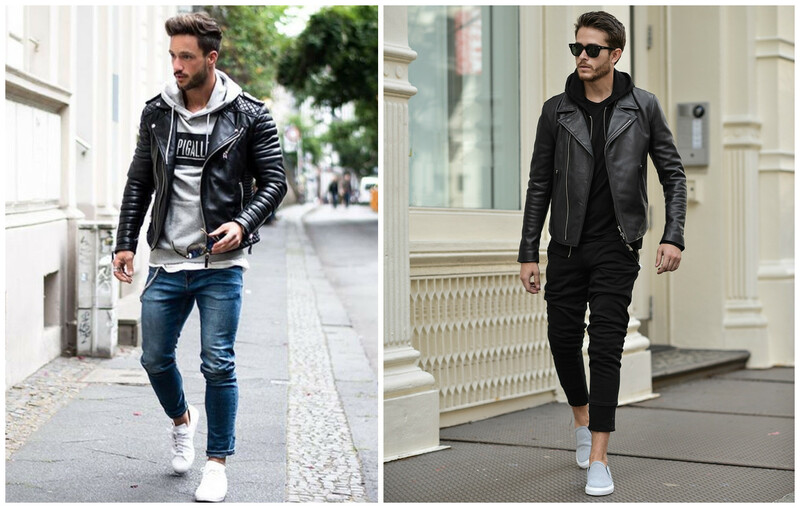 Tried and tested but effortlessly cool, pairing your favorite hoodie with your leather jacket never fails. It may not be the newest trend but as hoodies have upped their style and quality credentials, they look even finer when teamed with your leathers. Black leather obviously looks best and allows you to get creative with your choice of a hoodie. Team with jeans and your favorite trainers, or a pair of boots to give the look a smarter twist. You don’t always want to look like you’ve just walked out of the gym, but sometimes it works. Informal and relaxed, the athleisure look is not complete without a classic hood. 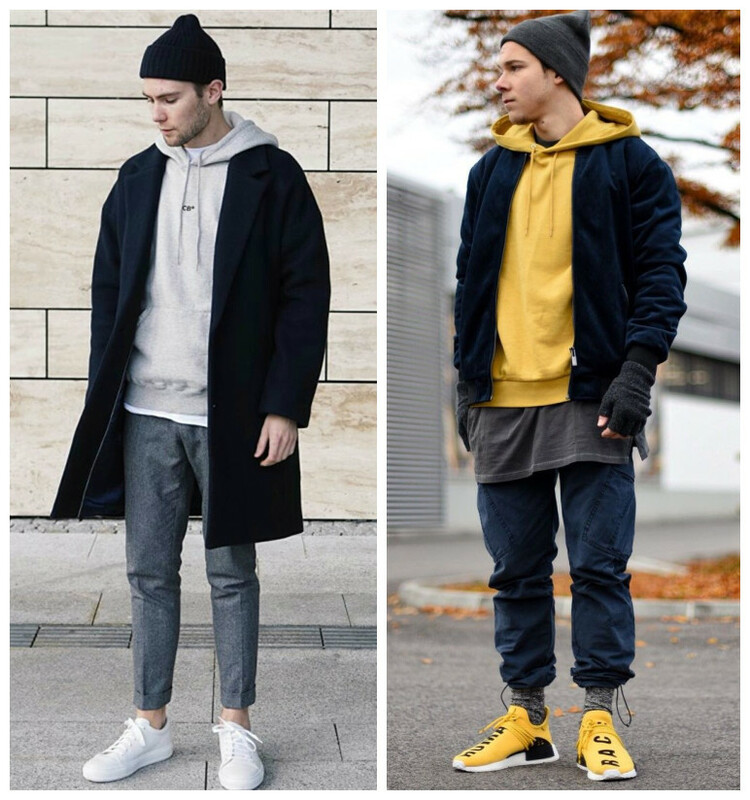 Baggy, oversized hoodies reminiscent of the 1990s work great with this look, although for a sharper, smarter take you could opt for a slim-fit hoodie with your fitted jogging pants and crystal white sneakers. Heading into Fall without a favorite hoodie or two will leave any guy’s wardrobe lacking. Make sure you’re ready for the chills in style with at least one stylish hoodie, then try out one of these suggested looks. 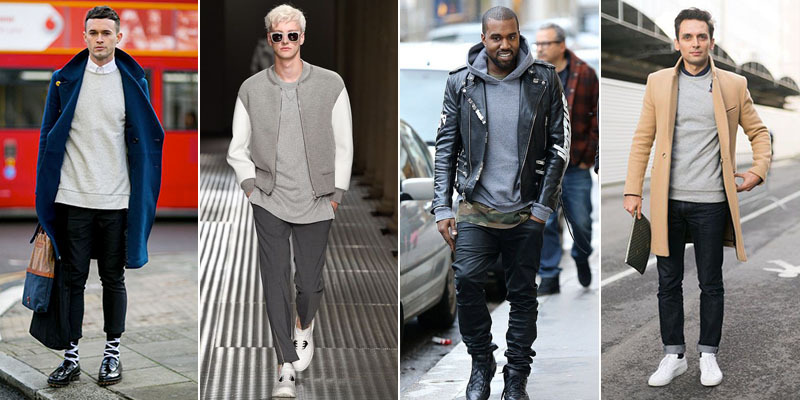 For more men fashion hoodies, please check here.